When AHAI set out to create a girls only introduction to hockey program, the committee members were determined to overcome many of the obstacles they hear that dissuade families from making the effort to get their daughters involved. Mainly, keep program costs down, make it convenient for families, provide consistent scheduling, make the season shorter so girls can play multiple sports and most importantly, in addition to skill development, make the experience fun in a no pressure environment so girls can meet new friends and form a love for the game. One obvious obstacle that is often overlooked but is critical to the game of hockey is equipment. 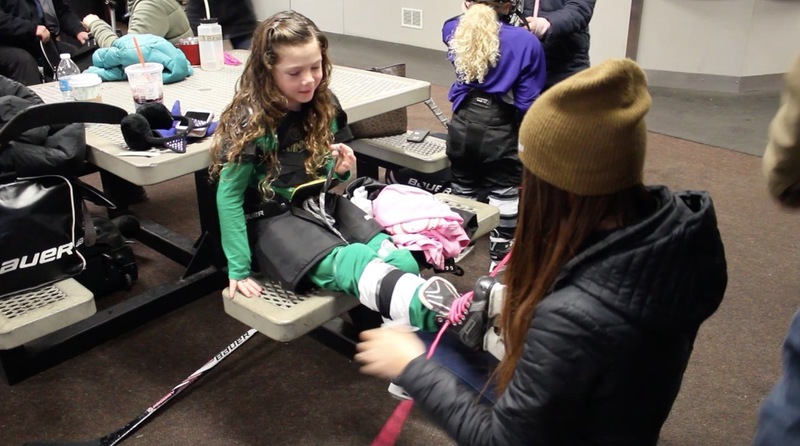 Unlike other sports such as soccer or softball, there is a lot more equipment involved and if a family is new to the game of hockey, the idea of outfitting their daughter is overwhelming and costly. Parents tend to be cautious about making the initial investment in hockey equipment as they are uncertain if their daughters will want to continue beyond their learn-to-play session. AHAI understood that by offering free use of full equipment they could remove some of the stress for families and make the decision to join Girls United Hockey simpler. Therefore, in order to outfit players in full equipment, AHAI is offering two equipment fitting events that will take place a week before the first on-ice sessions at Carol Stream Ice Arena and Southwest Ice Arena (click here for program schedules). During the fitting event AHAI hockey instructors will help players and families learn how to properly put on equipment enabling families and players to arrive at their first learn-to-play session feeling comfortable and ready to get on the ice. As well as getting to feel comfortable in hockey equipment, the girls will share treats, meet and socialize with their on-ice instructors and meet new which will help lessen some of the anxiety that comes with their first on-ice experience. For the West Suburban session located at Carol Stream Ice Rink, the equipment fitting event is Saturday January 5th from 11:15am to 12:15pm. For the South Suburban session located at Southwest Ice Arena, the equipment fitting event is Sunday January 6th from 10:00am to 11:00am. 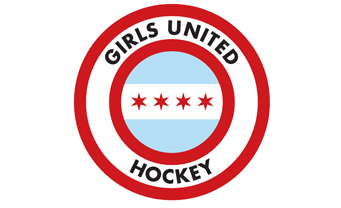 For more information about the Girls United Hockey, or to register, please visit our website at www.gurlhockey.com.